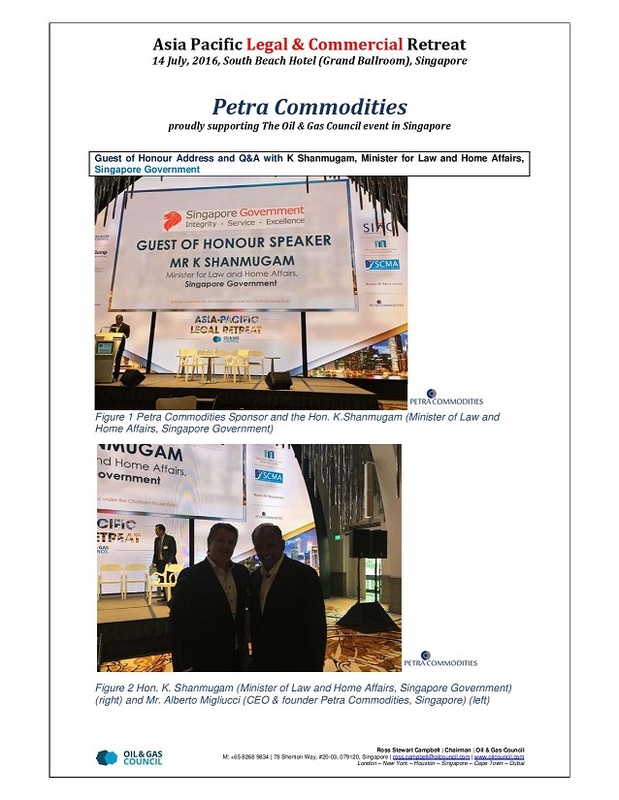 Petra Commodities proudly supporting the The Oil & Gas Council event in Singapore on 14th July 2016. The event was attended by Guest of Honour Mr K Shanmugam, Minister of Law and Home Affairs, Singapore Government. 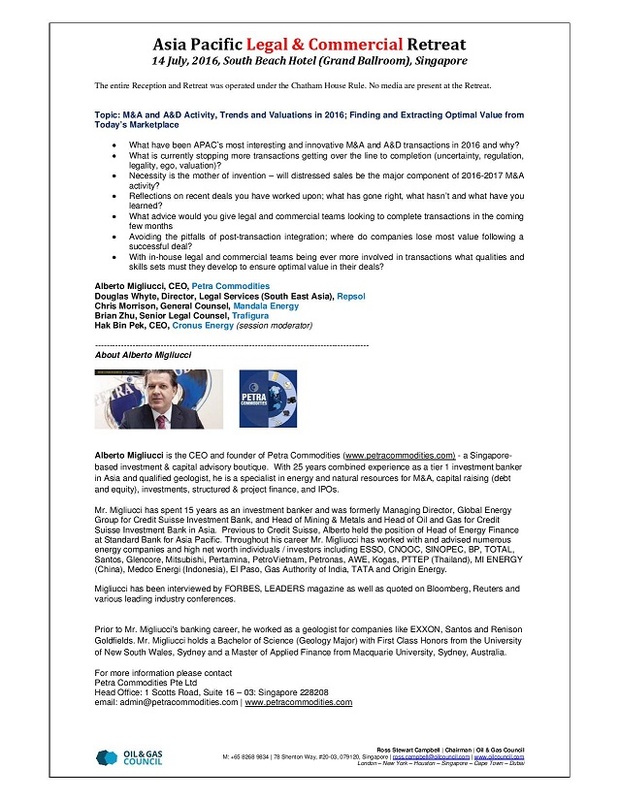 The Topic of the event was M&A and A&D Activity, Trends and Valuations in 2016; Finding and Extracting Optimal Value from Today’s Marketplace.